Conceived by ArtWatch, a group initially convened by Ellyn Weiss and Jackie Hoysted, the One House Project, is One of the biggest collaborative art installations ever seen in DC, embodies both resistance to the subversion of democratic principles and the assertion of their importance. Over 220 DC area artists have come together to demonstrate the power of visual communication to support values such as tolerance and inclusion and to resist the efforts to divide us by race, gender, sexual preference, class or region. The overriding principle of One House is the vision for a country where we are united as one rather than divided; the artists aim to universalize this message by bringing it to a very personal level. Each participating artist used a 12” square panel on which he or she commemorated an ancestor who came to this country -- voluntarily or involuntarily, or was here prior to the landing of the Europeans. The panels cover a broad span of time, including Native Americans, those whose ancestors who came on the Mayflower and artists who came themselves very recently, who used the square to tell their own story as newcomers to this country. 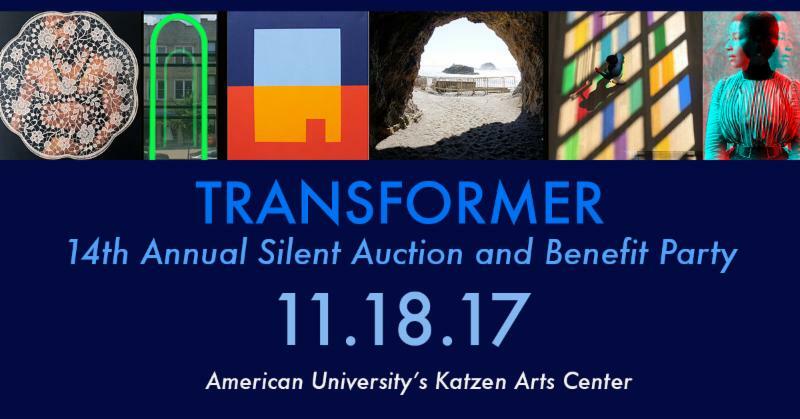 A structure will be erected in the Touchstone Gallery and covered entirely with these panels, representing the remarkable range of diverse humanity who have combined to make the strength of America. 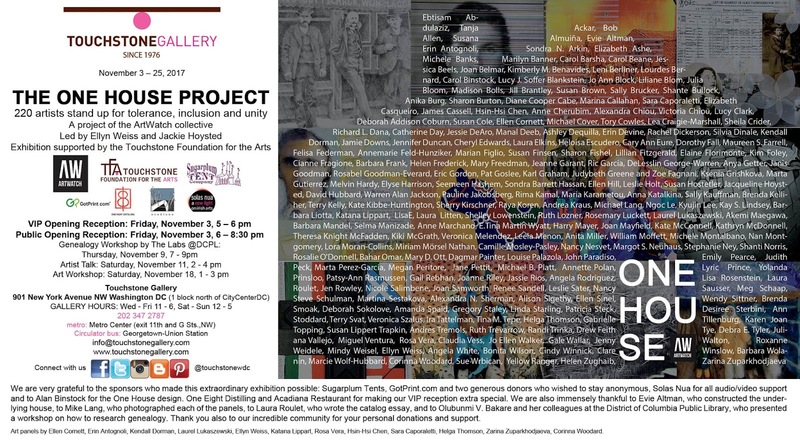 With the support of Touchstone Foundation for the Arts, The One House Project will be on display during the month of November at Touchstone Gallery. The show calls for viewers to engage with the house structure as a whole while identifying individual panels and the cultural history each panel holds within. Audio and video recordings of the artists’ stories will be included. As many artists have come together to make the One House Project, it is their hope that Americans come together to embrace the power found in a united people. 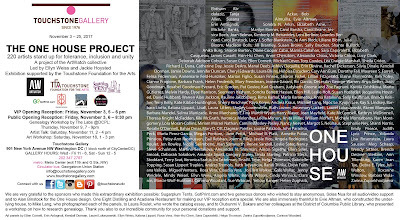 Participating artists: Ebtisam Abdulaziz, Tanja Ackar, Bob Allen, Susana Almuiña, Evie Altman, Erin Antognoli, Sondra N. Arkin, Elizabeth Ashe, Michele Banks, Marilyn Banner, Carol Barsha, Carol Beane, Jessica Beels, Joan Belmar, Kimberly M. Benavides, Leni Berliner, Lourdes Bernard, Carol Binstock, Lucy J. Soffer Blankstein, Jo Ann Block, Liliane Blom, Julia Bloom, Madison Bolls, Jill Brantley, Susan Brown, Sally Brucker, Shante Bullock, Anika Burg, Sharon Burton, Diane Cooper Cabe, Marina Callahan, Sara Caporaletti, Elizabeth Casqueiro, James Cassell, Hsin- Hsi Chen, Anne Cherubim, Alexandra Chiou, Victoria Chiou, Lucy Clark, Deborah Addison Coburn, Susan Cole, Ellen Cornett, Michael Cover, Tory Cowles, Lea Craigie-Marshall, Sheila Crider, Richard L. Dana, Catherine Day, Jessie DeAro, Manal Deeb, Ashley Dequilla, Erin Devine, Rachel Dickerson, Silvia Dinale, Kendall Dorman, Jamie Downs, Jennifer Duncan, Cheryl Edwards, Laura Elkins, Heloisa Escudero, Cary Ann Eure, Dorothy Fall, Maureen S. Farrell, Felisa Federman, Annemarie Feld-Hunziker, Marian Figlio, Susan Finsen, Sharon Fishel, Lillian Fitzgerald, Elaine Florimonte, Kim Foley, Cianne Fragione, Barbara Frank, Helen Frederick, Mary Freedman, Jeanne Garant, Ric Garcia, DeLesslin George-Warren, Anya Getter, Janis Goodman, Rosabel Goodman-Everard, Eric Gordon, Pat Goslee, Karl Graham, Judybeth Greene and Zoe Fagnani, Ksenia Grishkova, Marta Gutierrez, Melvin Hardy, Elyse Harrison, Seemeen Hashem, Sondra Barrett Hassan, Ellen Hill, Leslie Holt, Susan Hostetler, Jacqueline Hoysted, David Hubbard, Warren Alan Jackson, Pauline Jakobsberg, Rima Kamal, Maria Karametou, Anna Katalkina, Sally Kauffman, Brenda Kelliher, Terry Kelly, Kate Kibbe-Huntington, Sherry Kirschner, Raya Koren, Andrea Kraus, Michael Lang, Ngoc Le, Kyujin Lee, Kay S. Lindsey, Barbara Liotta, Katana Lippart, LisaE, Laura Litten, Shelley Lowenstein, Ruth Lozner, Rosemary Luckett, Laurel Lukaszewski, Akemi Maegawa, Barbara Mandel, Selma Manizade, Anne Marchand, E.Tina Martin Wyatt, Harry Mayer, Joan Mayfield, Kate McConnell, Kathryn McDonnell, Theresa Knight McFadden, Kiki McGrath, Veronica Melendez, Leela Menon, Anita Miller, William Moffett, Michele Montalbano, Nan Montgomery, Lora Moran-Collins, Miriam Mörsel Nathan, Camille Mosley-Pasley, Nancy Nesvet, Margot S. Neuhaus, Stephanie Ney, Shanti Norris, Rosalie O'Donnell, Bahar Omar, Mary D. Ott, Dagmar Painter, Louise Palazola, John Paradiso, Emily Pearce, Judith Peck, Marta Perez-Garcia, Megan Peritore, Jane Pettit, Michael B. Platt, Annette Polan, Lyric Prince, Yolanda Prinsloo, Patsy-Ann Rasmussen, Gail Rebhan, Joanne Riley, Jassie Rios, Angela Rodriguez, Lisa Rosenstein, Laura Roulet, Jen Rowley, Nicole Salimbene, Joan Samworth, Renee Sandell, Leslie Sater, Nancy Sausser, Meg Schaap, Steve Schulman, Martina Sestakova, Alexandra N. Sherman, Alison Sigethy, Ellen Sinel, Wendy Sittner, Brenda Smoak, Deborah Sokolove, Amanda Spaid, Gregory Staley, Linda Starling, Patricia Steck, Desiree Sterbini, Ann Stoddard, Terry Svat, Veronica Szalus, Ira Tattelman, Tina M. Tepe, Helga Thomson, Gabrielle Tillenburg, Karen Joan Topping, Susan Lippert Trapkin, Andres Tremols, Ruth Trevarrow, Randi Trinka, Drew Feith Tye, Debra E. Tyler, Juliana Vallejo, Miguel Ventura, Rosa Vera, Claudia Vess, Jo Ellen Walker, Gale Wallar, Jenny Walton, Roxanne Weidele, Mindy Weisel, Ellyn Weiss, Angela White, Bonita Wilson, Cindy Winnick, Clare Winslow, Barbara Wolanin, Marcie Wolf-Hubbard, Corinna Woodard, Sue Wrbican, Yellow Ranger, Helen Zughaib, Zarina Zuparkhodjaeva. 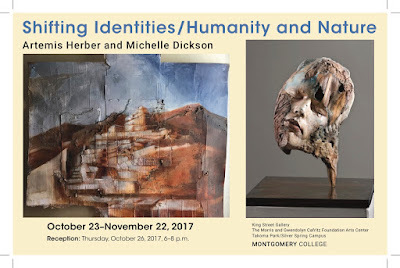 Reception follows from 6–8 p.m. 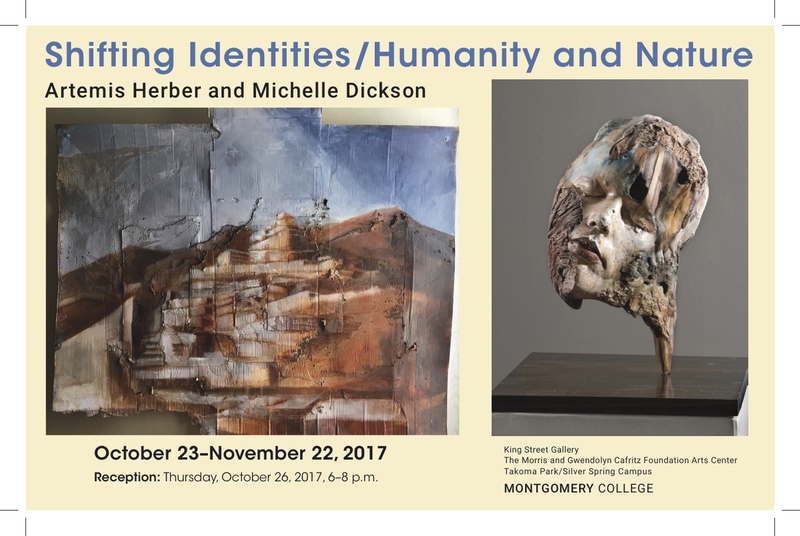 Location: The King Street Art Gallery is located on the ground floor of The Morris and Gwendolyn Cafritz Foundation Arts Center on the west side of the Takoma Park/Silver Spring Campus off Georgia Avenue at 930 King Street. Parking is available in the West Garage, which is located immediately behind the center. For maps and directions, visit montgomerycollege.edu/maps. 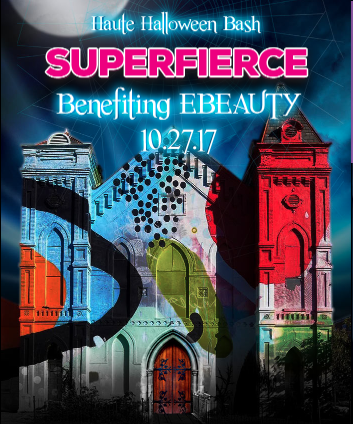 Gallery Hours: Monday–Friday, 8 a.m.–4 p.m.
One of the final SUPERFIERCE 2017 events is the Ebeauty Haute Halloween Bash and we'd absolutely love it if you could attend and/or share this info as 100% of ticket sales will be going to partner charity EBeauty, an organization dedicated to providing wigs to all women who are going through cancer treatments. This weekend you can save $100 on your tickets by using the discount code "superfierce". Spread the word! -Costume Competition and Cigar rollers on site! 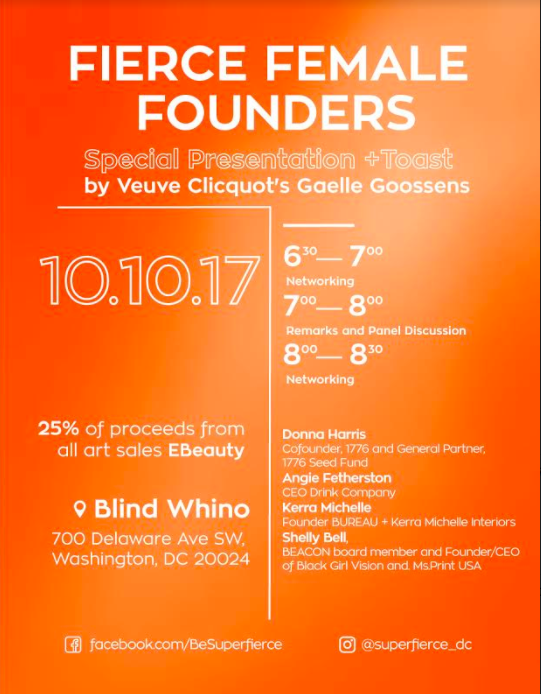 Join Superfierce this Tuesday, October 10, 6:30 - 8:30 for a FIERCE FEMALE FOUNDERS panel discussion and a special presentation by Veuve Clicquot head wine maker Gaelle Goossens. View the art in the SUPERFIERCE Exhibition and be part of this info-sharing collective of women in business. Featuring Panelists: Donna Harris - Cofounder, 1776 and General Partner, 1776 Seed Fund, Angie Fetherston - CEO Drink Company, Kerra Michelle - Founder BUREAU + Kerra Michelle Interiors, Shelly Bell, BEACON board member and Founder/CEO of Black Girl Vision and Ms. Print USA. Moderated by Michelle Gloden Schoenfeld. Tuesday, October 10, 6:30 - 8:30 p.m.